Please head on over to see what CLARA came up with! 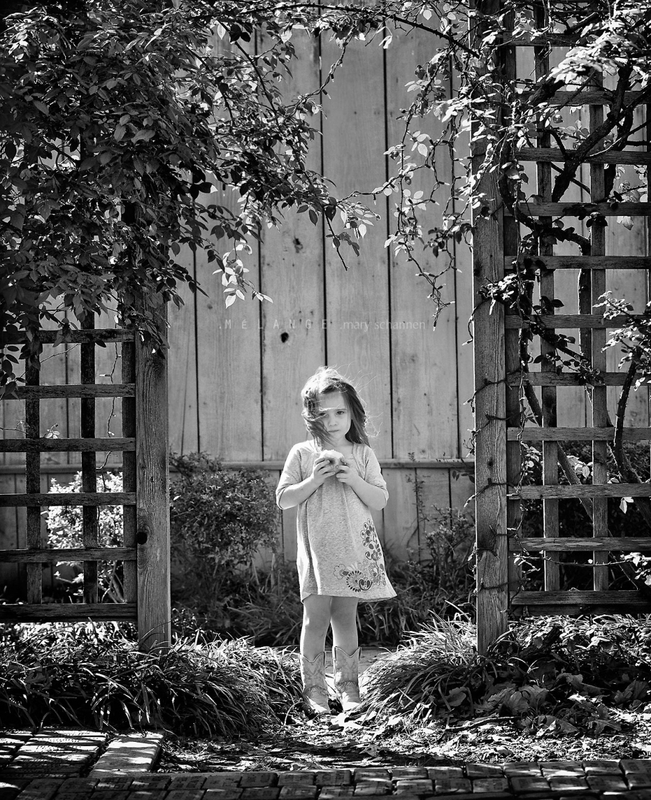 amy grace - this is such a gorgeous portrait…the framing, the richness, the movement, the sweet face and posture. wonderful! Lucy - Love this, especially the way the archway frames her! gretchen - Oh my! I LOVE this….crisp, fresh and beautiful! Great job! denean - Sweet photo – perfect framing!! Cara - Such a beautiful picture, I love how the vines frame her. Dana Cubbage - Simply gorgeous image this week, Mary. I love the light and it looks fantastic in b+w! Sabrina - I commented but I don’t know if it is showing up? A seemingly bittersweet moment here it seems. Sabrina - I love the black and white and the framing. It’s kind of a bittersweet image here. Kate - oh I love the framing in this shot, and her hair being swept away by the wind! Lovely Mary….so inspiring!